Hi Cake Friends! Last September my beautiful cousin gave me the honor of making cupcakes for her wedding! The colors she chose for her special day were an elegant combination of pink and gold, and she wanted the cupcakes to include these colors. So after brainstorming and researching a bit I discovered these gorgeous filigree cupcake wrappers on Etsy (see below for link to the shop where I purchased them). 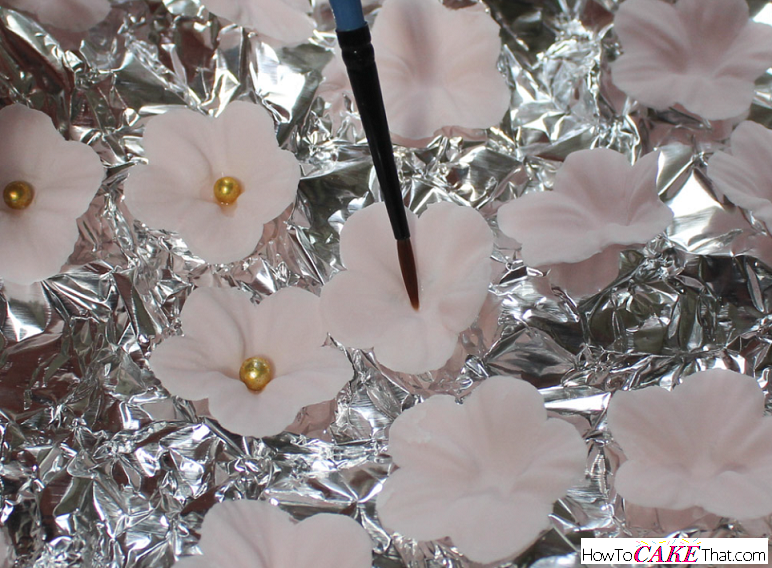 And I had an idea to create a simple little flower topper to add the final touch to the cupcakes! These were super simple to make and since they are dried they can be made weeks or months ahead of time if dried and stored properly! 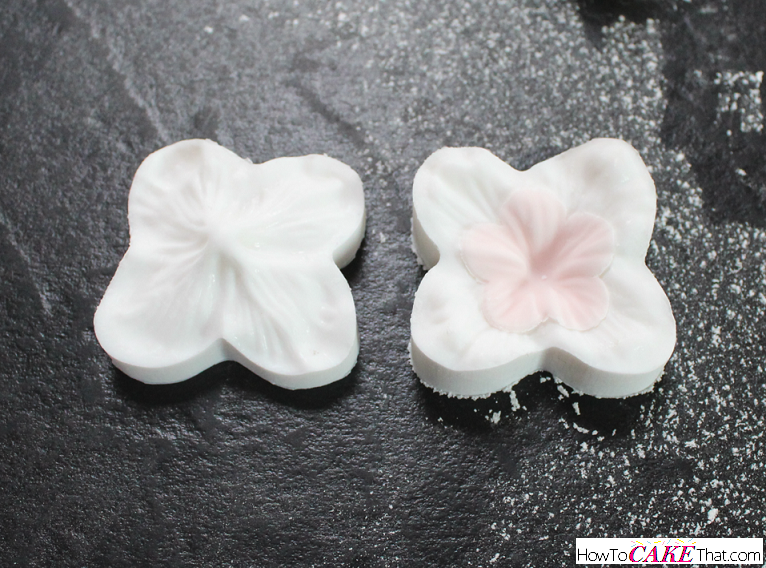 To begin, color gum paste (or fondant with tylose powder mixed in) in the shade desired for your flowers. 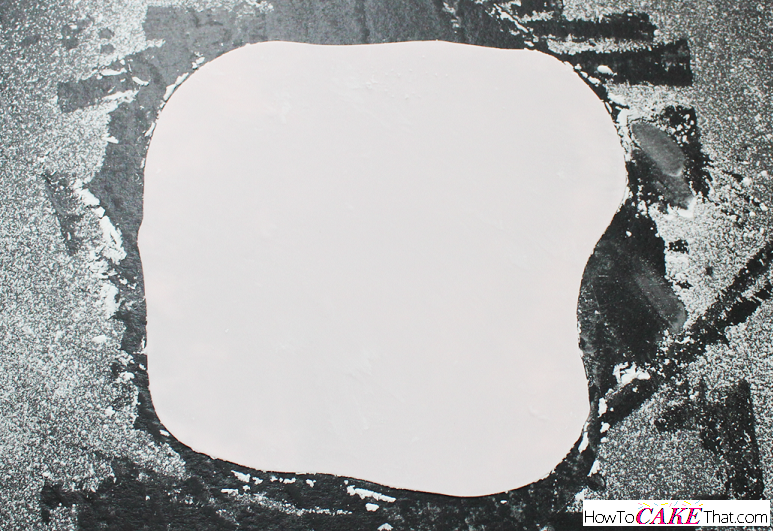 Working with just a small amount at a time to keep it from drying out, place the gumpaste on a work surface dusted with cornstarch. 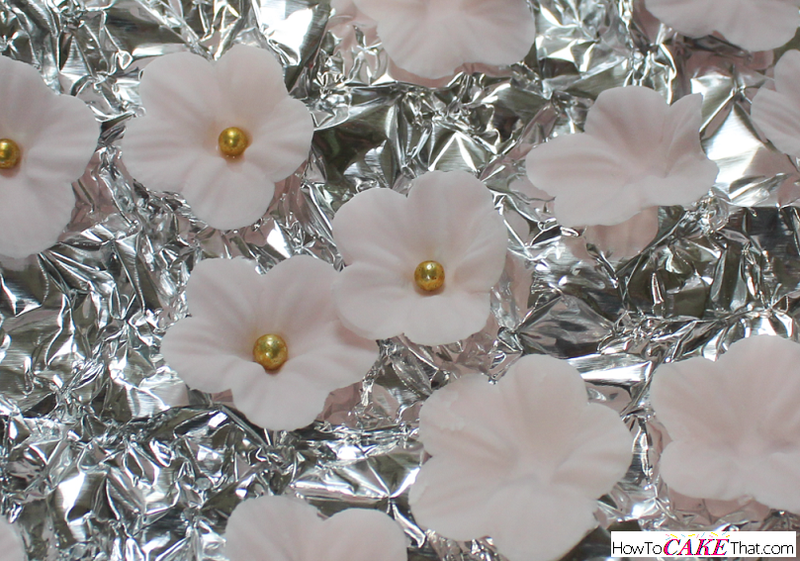 Keep unused portion of gum paste in a Ziploc baggie until ready to use. Next, roll out the gum paste super thin. 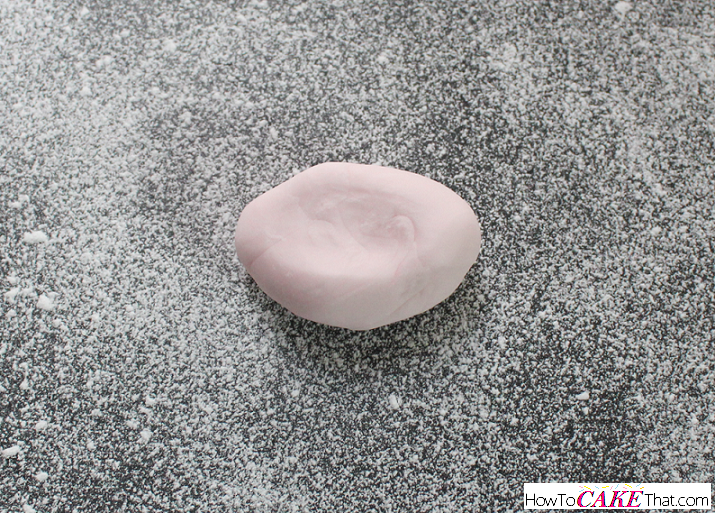 I like to roll mine out until almost becomes see-through and I can begin to see the cornstarch through the gum paste. Using a small simple daisy cutter, cut out and work with one flower at a time. 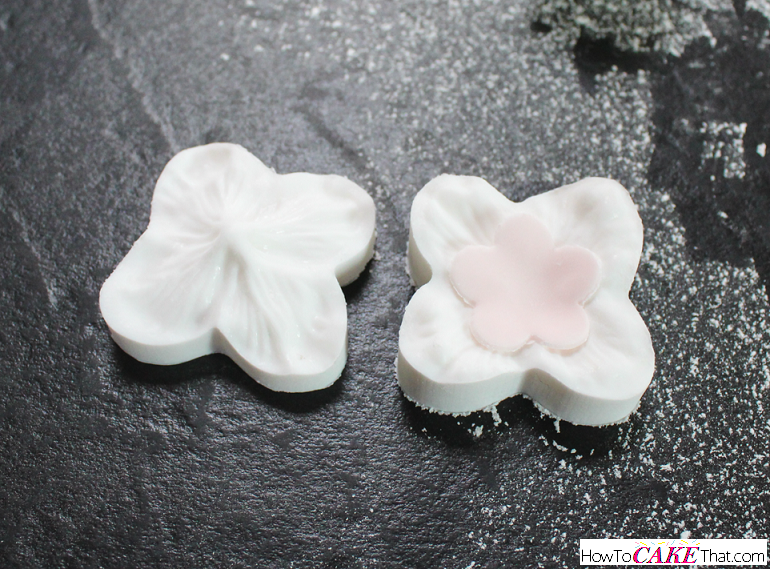 To add texture to this little flower, I'm actually using the hydrangea veiner by Chef Alan at Globalsugarart.com! This veiner gave this little flower the best shape and the most realistic texture on the petals. Plus it created a nice little dip in the center which was perfect for added a dragee. Look at that beautiful delicate texture!! I was thrilled with how lovely these turned out!! 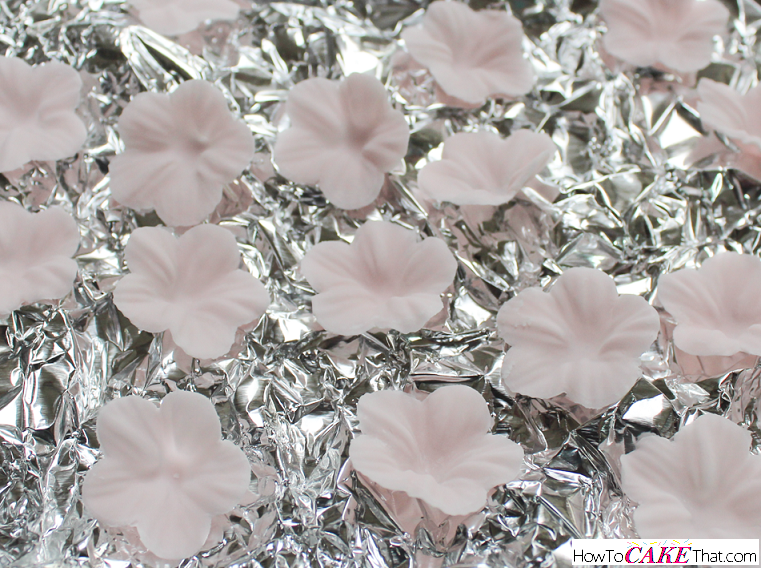 Then I carefully removed the flower from the veiner and placed it on a crumpled piece of aluminum foil to allow them to dry. To add the little dragee in the center, I lightly brushed the center of the flower with water. I added just enough water that it was a little damp... you don't want to add too much water or it could dissolve the center of your flower. Then I placed a dragee in the center of the flower. I let the flowers dry for several hours or overnight. To store the flowers until you're ready to use them, just place them in a container with a tight fitting lid. These can be stored for weeks or for months! 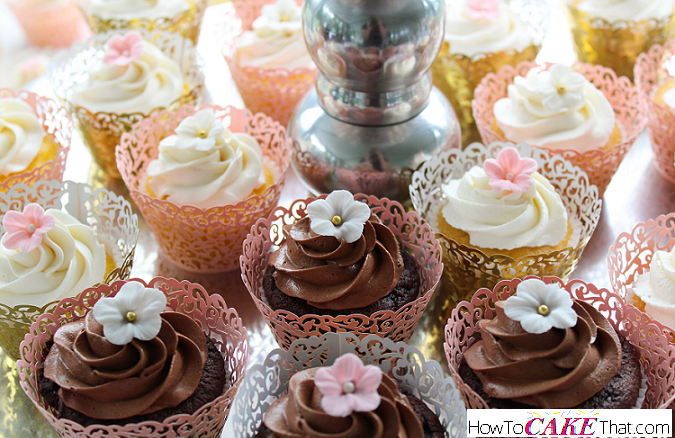 When you are ready to use them, add them to the cupcakes just before serving. 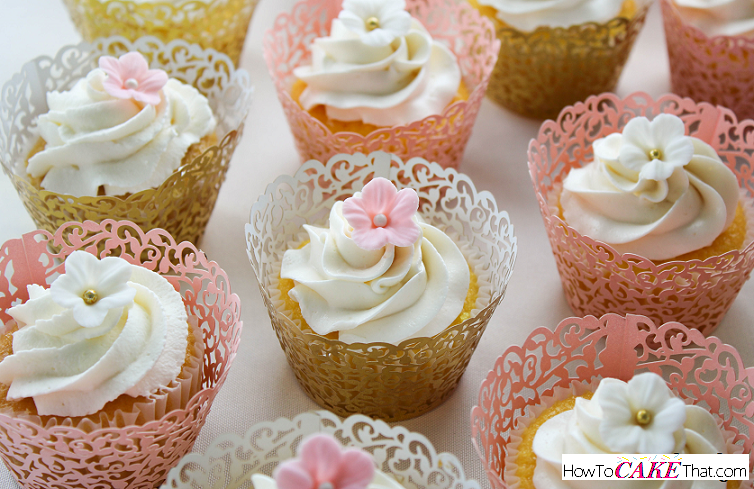 You won't want to add them too early or the moisture from the cupcakes could cause the flowers to wilt. 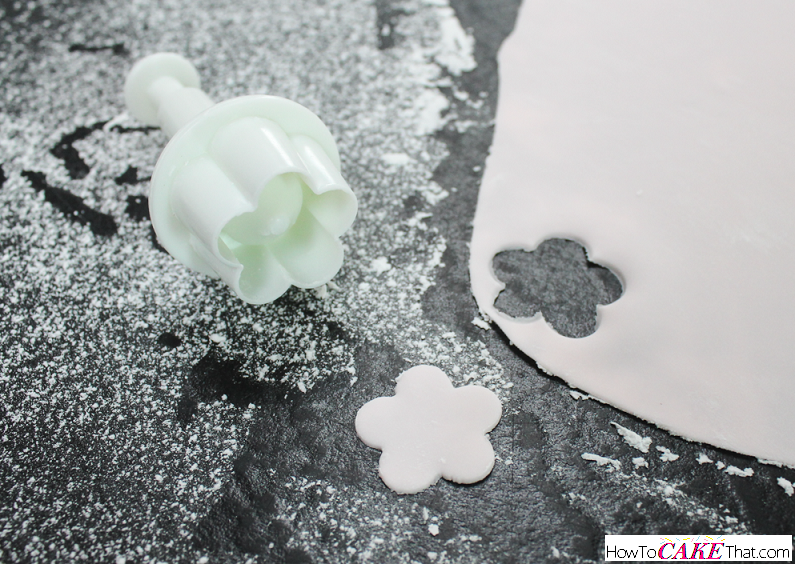 And that's how you make these simple and beautiful little flower cupcake toppers. If you're looking to purchase these cupcake wrappers, I ordered these from SweetCraftyTools on Etsy. I highly recommend this shop! I received them very quickly and in perfect condition! And that gold wrapper was shiny and metallic... which is difficult to find! I hope you have enjoyed this tutorial!! God bless! !